Is Pinterest part of your search marketing strategy? Read that question again. I want to make sure you didn’t replace the word search with the word social. 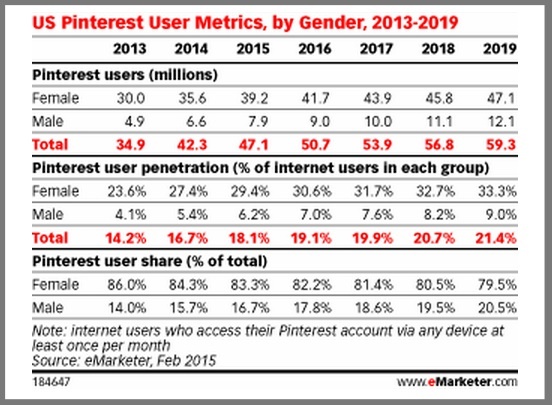 Pinterest is characterized as a female dominated social media platform. At Social Media Marketing World 2015, Guy Kawasaki declared, “Pinterest is the new Google”. Examine how Pinterest has evolved in the past year and you’ll find that it’s not an accidental search engine. Pinterest acquired VisualGraph, a visual search engine, to recommend relevant information without text or tags. 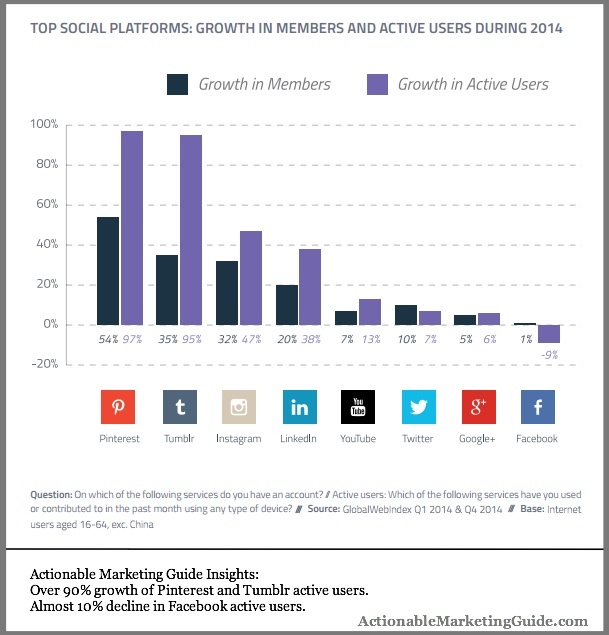 Examine Pinterest’s numbers and you’ll see that the social media site is growing in terms of content and users. Pinterest has 30 billion pins and 750 million pinboards. Further, 90+% of all pins on Pinterest have a related pin to go with it as reported by Business Insider in 2014. Pinterest will grow to 47.1 million in the US in 2015, up 11.4% year over year according to eMarketer. BTW, don’t write men on Pinterest off. They’re just joining at a slower rate. More importantly for marketers, Pinterest is where people turn to research key events in their lives and the purchases related to them. Pinners were 47% more likely to experience a major life event in the next 6 months based on Millward Brown’s active Pinterest users survey. Pinners disproportionately used Pinterest to plan for the event, especially millennials. 96% reported using Pinterest to research and gather information. 87% reported engaging on Pinterest helped them decide what to purchase. Research published in the Harvard Business Review showed that Pinterest is where people discovered purchase information that led to a purchase. Of the 79% of respondents who said pinning an item influenced their decision to purchase. 21% said Pinterest provided additional information. 21% said Pinterest was where I discovered the product. 17% said Pinterest reminded me that I intended to buy the item. 16% said someone I trust pinned the item. 15% said Pinterest showed me where to buy the item. 10% said Pinterest alerted me to a sale or a deal. To put this in perspective, customers tend to do their research independently and are 57+% of the way through the purchase process before marketers know they’re in market. Be present on Pinterest to support online research and gain early shopping indicators. Google has changed how we seek information. Who needs an encyclopedia? There’s Google. Need the answer to a question and Google will provide you with answers in seconds. Roughly 15% of Google searches are new. Meaning that they’ve never appeared on Google before. Broad questions where the question needs to be refined without you knowing what’s needed. Tailored answers based on your individual needs. Not sure what you’re seeking. Forrester’s Nate Elliott defined the difference between search and social media as the difference between intent and affinity. Search shows intent and social media shows affinity. 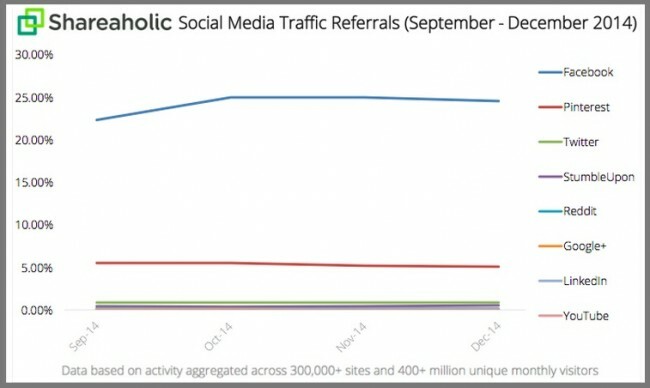 His 2013 chart reveals how social media has the power to overtake search in the coming years. What’s interesting is that Pinterest is doing that now. Pinterest drives affinity and purchase by providing ideas and inspiration. As a result, it yields results faster than Google. Pinterest Guided Search leads you towards an answer based on the curation of other people’s Pinterest use. More importantly, it’s built for mobile first since 75+% of all Pinterest traffic comes from mobile according to Business Insider. As a result, Guided Search help users narrow-down results quickly with limited keystrokes. Here are 3 power Pinterest search marketing tactics to improve the return on your Pinterest investment. 1. Optimize your Pinterest presence for people and search. Every aspect of your Pinterest presence must support your ability to attract new visitors. Think like a Pinterest real estate agent trying to make every aspect inviting. Associate your Pinterest username with at least one relevant keyword. Don’t assume that your target audience will know your business name or what you can do for them. Craft the About section to represent your business. Use human language to convey what makes your business unique and associate the appropriate keywords. Include a contextually relevant call to action (CTA). Add a link to your website and verify it. Name your Pin Boards for findability. This means use the words your audience will be searching for. Conquer your desire for “cute” names. Add helpful board descriptions that include keywords. Pins stand out based on their visuals. They gain traction based on their usefulness. Think of your Pinterest image as your magazine cover to pull prospective readers into your content. On Pinterest, photo size counts. Use images that are 1102 pixels high by 735 pixels wide. Create a pin template. This tip is straight out of the Peg Fitzpatrick playbook. (Note: She batches her pins.) The goal is to speed up Pinterest image creation. Give readers a reason to pin or repin your content. Explain what they’ll learn. Think WIIFM (What’s In It For Me). Focus on evergreen and educational information. Skip the hashtags. Use plain language with keywords. Use Rich pins. This increases your visibility by adding more relevant content. Make sure that you get your content validated. Add a call-to-action in your pin description but not the image. Manage the product links in your pins. Since pins can last for a long time, make sure that you re-route product pages to category pages once the product’s no longer available. 3. Promote your Pinterest content. Like other forms of content and social media, Pinterest requires promotion and republication to continue to thrive. Monitor what’s working for top pinners as well as your competitors. Think text, titles, colors, images. Bear in mind, that like Google, Pinterest looks at repin numbers as a sign of your content’s popularity. Use Pinterst’s search bar to get insights on customer insights. See what terms Pinterest is suggesting. Then incorporate a couple of these terms into your Pinterest content. Leverage your owned media to encourage pins. Spotlight your Pinterest content on your website, blog, email newsletters and other content. For example Rebekah Radice uses her sidebar. Target spotlights products in its stores that are popular on Pinterest. Add the Pin It button to encourage pinning. Support pins that receive new interest. When a pin starts to get new interest, repromote it to extend your reach. As a visual platform, Pinterest is evolving to support a new form of search beyond the basic answers you can get from Google. With its visual recognition enhanced search capabilities, Pinterest provides its audience with answers they don’t know how to put into words. Unlike other social media platforms, Pinterest is evolving to support the sales process from before customers realize that they have a need for your product. Spend the time to appreciate its special nuances and you’ll be able to reap the results over time. Further, Pinterest will provide insights into your customers and competitors. 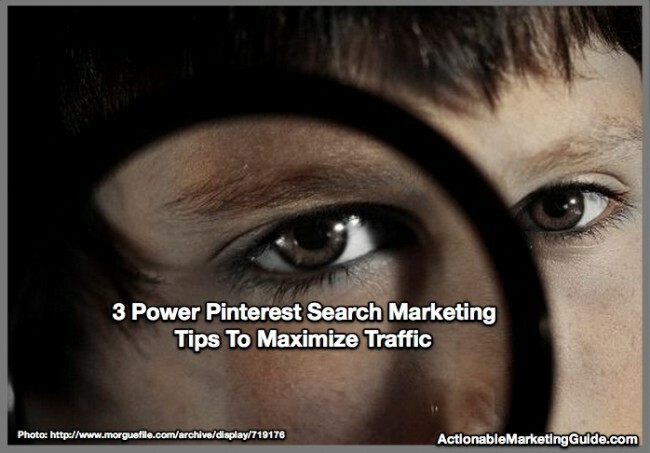 How has Pinterest aided your search marketing efforts? Tags Business Insider, eMarketer, Forrester, Global Web Index, Guy Kawasaki, Millward Brown, Peg Fitzpatrick, Pinterest, Rebekah Radice, Shareaholic. Bookmark the permalink.